When it comes to availability of apps and ease of use, it’s hard to beat iOS. Yes, you heard that straight from the mouth of this Android girl. Although iPads are a bit pricier than Kindle, they are hands-down the device you want if you have a special needs learner. The selection of apps available for iOS is amazing. I typically like to feature apps available for all devices, but I thought it might be fun to recommend my favorite apps for each platform. Physics has never been so fun! Monster Physics is a unique building app that lets kids Build It, Solve It, and Learn It. This app was created by Dan Russel-Pinson. Dan has created some of the best interactive apps for kids, including Stack the States, which is #2 on my list of 10 Best Apps for iOS. With Monster Physics kids build intricate working contraptions with over 68 different parts, then operate their creations in real time. They’ll learn problem-solving and creative-thinking skills on 50 missions included with the app. It has never been more fun to learn basic physics concepts such as friction, force, mass, acceleration, and more. Stack the States is a great app for history. It makes learning about the 50 states fun for kids and adults! Kids won’t grow tired of this app as they learn about the states with 5 colorful and interactive game options. They’ll learn state capitals, shapes, geographic locations, flags, and more. There are no 3rd party ads or in-app purchases. Tynker is an intuitive and imaginative app for coding. It’s inspired by visual programming languages like Scratch from MIT, Alice from CMU, and other programming languages like Logo, SmallTalk, and Squeak. More than 40,000 schools and 28 million kids have used Tynker to learn coding and computer programming skills. It’s easy to see why. Tynker has over 100 step-by-step coding tutorials! There are a number of coding apps, but when it comes to making the 10 best apps for iOS, Tynker was the one that made the cut. Kids can learn with interactive tutorials, then go on to create an unlimited portfolio of games and projects to share and play with friends. Additional puzzle sets available as in-app purchases. Learn with Homer is more than just a learn-to-read app. It’s a reading curriculum served up in app form. It’s geared for kids ages 3 to 6 and incorporates drawing, voice recording, stories, songs and more, along with more traditional phonics exercises. Learn with Homer opens to a beautiful map on the main page which presents a host of options kids can explore: Learn to Read, Story Time, Discover the World, and Homer’s Clubhouse. Clear verbal instructions guide kids through all areas. Learn to Read is a systematic, sequential phonics program that provides kids with lessons, then interactive activities, and a review before moving on to the next level. Kids learn about a range of topics from the five senses to zoos in Discover the World. Story Time is filled with beautiful stories from many genre-specific sections, like poetry and folk tales. One of my favorite things about Learn with Homer is kids are encouraged throughout the app to draw or voice record their thoughts about everything they’re learning. It’s so fun to capture the learning process naturally when kids learn to read. Kids can also send and receive “Pigeon Post” through an invite-only system accessed through the web or in-app. This is a subscription-based app. You can try Homer for FREE for 30 days. The monthly cost after the free 30-day trial is $7.99/month. You can cancel at any time. The $7.99 subscription includes up to four kids on the same account. This is perfect for families with multiple kids who fall within the suggested age range for this app. 60 First Readers – your child’s first books they can read on their own! Capture magic memories as Homer records their first books read for you! Lightbot is a programming puzzle game. Users gain a practical understanding of basic control-flow concepts like procedures, loops, and conditionals as they guide a robot with commands to light up tiles and solve levels. It’s so much fun, users don’t realize how much they’re learning! Lightbot has 50 levels and 20 challenge stars to collect. There are multiple save slots and separate progress tracking for multiple players. So, families can play Lightbot on the same device. Multiple players can advance at their own pace in their own save slot. Players are also able to compete on number of levels finished, number of stars collected, and number of overall commands used to complete the game. Lightbot lets you play in English, French, Russian, Brazilian Portuguese, Spanish, Traditional Chinese, Simplified Chinese, Norwegian, Slovenian, Romanian, Indonesian, German, Polish, Danish, Croatian, Dutch, Slovak, Czech, Greek, Italian, Japanese, Korean, Malay, Thai, Hindi, or Swedish! To change the language simply hit the associated flag icon on the main screen. Oh how I wish Writing Wizard was available when my son was in preschool. I would have saved a fortune on shaving cream. And, that sensory table we used for letter practice couldn’t be transported everywhere. Not to mention, many days we had a huge mess to clean up. I’m not saying get rid of sensory tables, but it’s great to add this app to your handy bag of learning options. Writing Wizard is designed to help children learn how to trace letters and words. Kids can trace letters using 26 animated stickers complete with sound effects. Once they’ve completed their tracing, kids can go on to play 4 games that reinforce the letter they just traced. What I love most about Writing Wizard is that it is customizable. You can tailor it to fit the needs of your child. You can even add your own word lists. And, you can see how your child is progressing because there is a detailed report with information on what your child has done, including the ability to replay and export the tracings to view your child’s progress. Once your child begins to gain skills you can set the app for 5-Stars play mode. Worried that your child’s fine motor skills won’t translate to paper? Create PDF worksheets from your word lists when it’s time to practice on real paper! 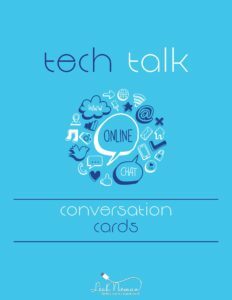 You can print them directly from the app or email them. Originator, Inc. is another company that makes great educational apps. I included apps from them on my list of Best Apps for Reading and my Best Apps for Preschoolers. So, you can start with Endless Alphabet and move on to Endless Reader if your child loves this app and you want to continue the series. Get your child ready for reading success with Endless Alphabet. Preschoolers will love learning their ABCs and building vocabulary with this interactive app. Each word features a puzzle with talking letters and a short animation illustrating the definition. The adorable monsters make learning fun. What I love most about Endless Alphabet is it was designed specifically with young children in mind. There is no high score or sounds for failures and there are also no time limits which can cause stress for young children. Do note the free app comes with 7 word puzzles and animations. A one-time, in-app purchase will unlock the additional 93 puzzles giving your child a total of 100 words to explore and learn. Many virtual astronomy apps are too complex for young children. But, that’s not the case with Star Walk Kids. The creators here have used colorful images and friendly narrators so kids as young as four can begin to recognize constellations and planets of the solar system, and grasp the fundamental principles of astrophysics. Best of all, all stars and objects in the sky are in their correct position relative to your time and location. Kids can learn more about the night sky by watching the explanatory animated movies. Watching the sky has never been so fun! There are no 3rd party ads or in-app purchases. Star Walk Kids doesn’t integrate with social networks and is COPPA compliant. It uses your location locally in the app to match the map in the sky above you. Thinkrolls 2 is a clever game of logic that keeps kids on their toes. Players navigate through 235 levels of increasingly complex mazes. Along the way they’ll meet 28 spunky characters and use properties of matter and basic physics to make their Thinkrolls roll, float, glide, and teleport through a series of themed chapters. Each chapter gradually introduces a new scientific concept in a way that’s kid friendly and easy to understand. Thinkrolls 2 is COPPA compliant. There are no 3rd party ads and no in-app billing. Step-by-step lessons on how to play an instrument through a selection of 250 instructional videos that cover playing your first note, reading music, and playing popular songs. A rhythm game, which teaches students how to count beats, follow the beat, learn notes and rests, and develop coordination skills. A pitch game, which helps students improve their ability to learn notes on an instrument and train their ear to detect different pitches. A recording studio that allows your child to record their own music using one of 40 backing tracks from some of the world’s best musicians. There are no in-app purchases or ads in this app, making it great for younger kids. Get Band Blast from the iTunes Store. This app is great for young learners. It adheres to Children’s Online Privacy standards and does not contain any third party advertising. Get Epic! Books for Kids at the iTunes Store. Simple: Point your device at the sky to instantly identify constellations, planets, and satellites above you at that moment. Night Mode: Use night vision to easily identify more celestial objects in the night sky at your location. Augmented Reality: Travel through the galaxy using your device’s camera to identify and learn about a variety of celestial objects. Sky Paths: Follow an object’s track in the sky to see its location on any date and time. Time Travel: Travel through time to see how the sky looked on different dates throughout history. Get SkyView® from the iTunes Store. Give your kids a chance to tap into their inner archaeologist as they discover the pyramids of Ancient Egypt. This high-quality app allows users to travel in and out of the chambers of the Great Pyramid, including the hieroglyphics on the walls of the Tomb of Meresankh and seeing the Sphinx up-close. With detailed 3D graphics and stunning high definition photography, your students will feel like they’re traveling through Egypt as they view the artifacts throughout the Giza plateau. The app also features an informative digital book, which outlines the history of the pyramids, as well as an interactive gallery filled with interesting artifacts. Get The Pyramids from the iTunes Store. WHAT ARE SOME OF YOUR FAVORITE APPS FOR KIDS IN THE iTUNES STORE? ARE YOU LOOKING FOR OTHER GREAT APPS? CHECK OUT MY BEST APPS SERIES! Need a Full Step by Step Guide for Parental Controls for iOS? You'll also get a FREE Bonus: My list of 10 Best Educational Apps for iOS! One of our favorite apps is stack the states and homer! I can’t wait to check out these others. Thanks for sharing! Stack the States was always one of our favorites as well. 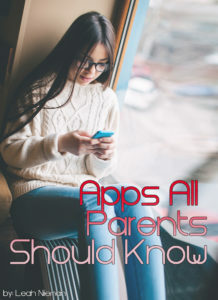 I hope you find some additional apps your family will enjoy in the list. Thanks for visiting my blog and offering feedback.